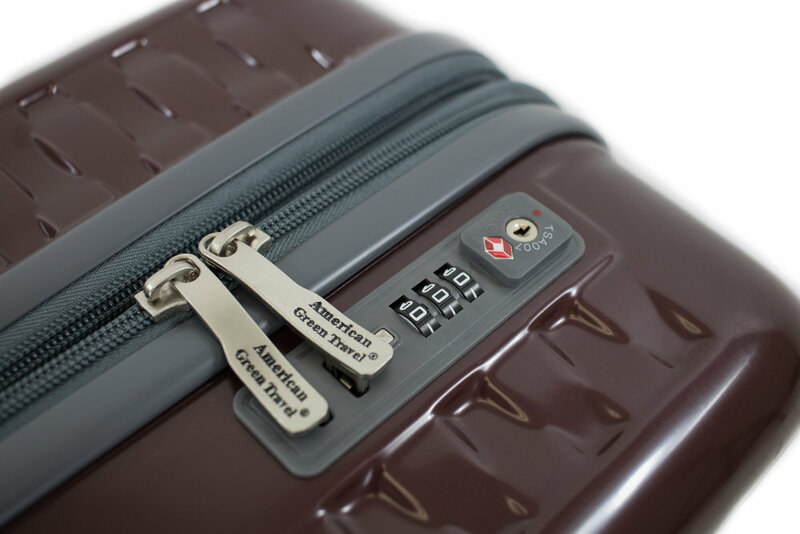 The PC878 includes TSA combination locks that sit flush along the sides. Combinations can be reset and customized per user preference. The PC878 features a lined interior along with compartments to keep belongings organized. 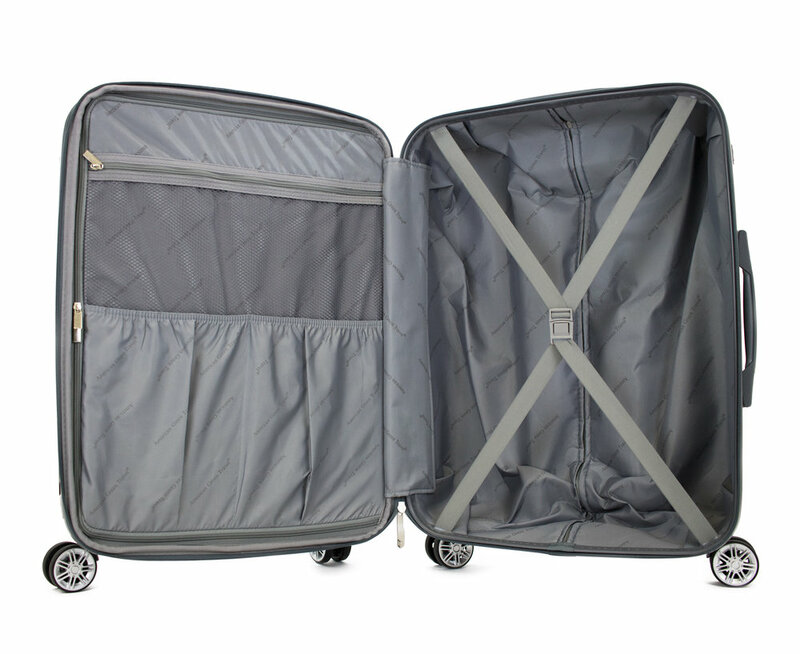 Tie-down straps ensure clothing stay in place while a zipper divider helps separate different items.